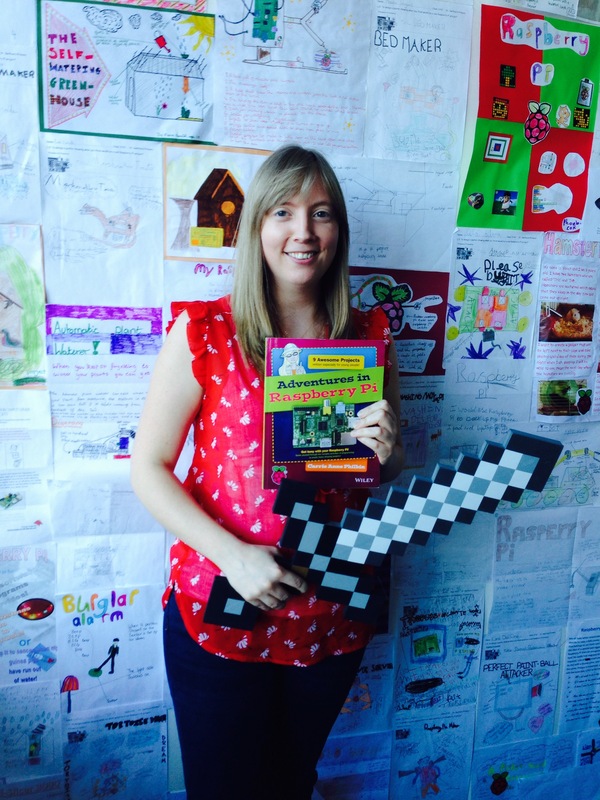 A lot of you have had huge success in the last few months using our very own Carrie Anne Philbin’s Adventures in Raspberry Pi as a resource for kids of all ages. It’s engaging, friendly and works really well in getting kids excited and confident about using their Raspberry Pi. So much so that we’ve found schools are ordering classroom sets; so are after-school clubs, and we’ve had amazing feedback from kids and their parents. We aren’t amazed at all – the book’s brilliant. Shortly after taking this picture, Carrie Anne tried to saw Ben’s ear off. We are also celebrating the addition of Pimoroni’s PiHUB to the Swag Store – it’s a really handy, super-reliable, powered USB hub for your Pi that works with every USB device we’ve tested on it. If you would like to win a bundle including one of five copies of Adventures in Raspberry Pi, some Raspberry Pi stickers and your very own PiHUB, please leave a comment below telling us what you would like to see us stock in the Swag Store. We’ll pick the five ideas that made us laugh the most or that made little lightbulbs go off in our heads as the winners. The competition is open worldwide to people of all ages, and closes on February 26. Make sure that you use a genuine email address when you comment so we can get in touch with you if you win. 3D printed models of all the Raspberry Pi team. who hasn’t always wanted their very own Carrie Anne, Eben & Gordon collectables with action grip & accessories? Liz holding the fabled ban-hammer of doom, riding down spammers on her trusty wheeled sandwich. The person who draws that wins my undying affection. And possibly something else if I can find something in the swag drawer. I have more hair than that. SWAG I’d like to see also,d like to see a capacitance type touch screen for the PI. 1) PI logo shaped Pastry matrix, so I can have PI Pies with a proper top crust. 2) PI perch for my budgie. 3) I like the PI-Hub, so maybe a PI Power Supply or battery Pack. 4) A subdued PI patch, like a military patch. 7) PI Duct Tape there has to be a reason to have that around. 9) PI USB Drive with all of TheMagPI issues within it. If we get Pi duct tape we’d better have its companion, PiWD40. Sorry for the double, I thought the first didn’t send! +1 for the squared paper. Cracking idea. I don’t think you’re allowed to enter. I presume we’re talking about engineer’s grid paper with a green 1/4-inch/5~6mm grid printed on the back that makes drawing accurate shapes (lines/squares/rectangles/ellipses/circles/etc.) for engineering/scientific sketches look like Leonardo Da Vinci did them? In any case, +10^1000! not in green ink, ( even though the leaves in the logo are ) , but another colour comes to mind, , i dont need to spell it out? can you some add pages of circles at 2.5 mm pitch resembling a typical veroboard or whatever. The reason the grid lines are green and on the back side is so that if you photocopy or scan pages, the grid doesn’t show up and interfere with drawing lines and writing. This is especially important if a scan will be converted to a bitmap or vector format for use in drawing, printed circuit board layout, CAD, or other software. then commission a raspberry lamp for photocopiers. As well of / instead of square paper notebook: the Maker’s Notebook by Make: Best project / inventing / ideas / making notebook ever made! I know of more than one place in Venice that can hand-bind something even more lovely using cat-gut for the thread, goat-skin parchment for the pages, pig skin for the inner lining, calf’s skin for the outer covering, and gold trim throughout … but, it would cost more than a gross of Pi boards. A much less expensive vegetarian version would also possible, but it would only last a few days and would be thoroughly munchable, which is probably not as useful as the anti-PETA model that would last several human, not constituent animal, unfortunately) lifetimes. Where did you get your notebook? I can’t find any british stockists. I think I’m being serious. A cookbook containing recipes for raspberry-filled victoria sponge, raspberry tarts, raspberry cake and, of course, raspberry pie. Cover features entire RPi team (including pets!) stuffing their faces with the creations. Perhaps a cake being cut with the Minecraft sword. If only we had a former professional food writer on the team somewhere, whose career was tragically cut short when it was run over by the Raspberry Pi juggernaut. How is she going to do the Chapter on Jams & Jellies if she can’t use a pressure cooker? Eben, you forgot a word or two from your verbage. If only we had an award winning former professional food writer……. I only won that award because most of the article ended up being about the Stinkor toy from He-Man. I really think there should be an official Raspberry Pi shaped Pi-Tin/Cake-Tin/Jelly-Mould by now. Stock of mini-wireless trackpad keyboards would also be rather handy. An official Raspberry Pi case (shaped like the PiHUB). Raspberry Pi logo fancy dress. Wait you mean my whoopee cushion fancy dress outfit is not official Raspberry Pi fancy dress? If I don’t link to a picture, will you make me tea? Yes, with cake, and whatever else you require at any time, day or night. Sadly not. Turns out the sword’s quite blunt, and Ben’s ears are very gristly. I don’t blame her for attacking Ben, after all, EVERYTHING is his fault. Cool stuff, it’s a great book, taught me, my friends and my ICT teachers loads. After may half term, I’m going to help the ICT department at my school teach computing with Pis and that book. I’ll point them to the swag store. Great book Carrie Anne! A wonderful addition to the pi store (I love my PiHub). Competition: I’d like to see some add on boards in the swag store soon. They’re all great, from giving the pi an RTC, UPS, all sorts of outputs, inputs and connectivity, as well as meaning you can power the pi with all sorts. Specifically, Ryan’s MCB. He’s a great member of the community, an awesome guy, the board is dead simple to use, and who doesn’t want to make robots and control motors (and other high power things like scalextric). The pi is cool. Robots are cool, so a pi based robot is cool squared. A simple and inexpensive robot base with geared motors. As a 60 year old that had no programming experience except for a couple WordPress sites I really am enjoying my Pi I got for Christmas. Learned alot from these forums. What I would like to see is a yearly subscription to the MagPi mag. Thanks to all the Mods, I know it must take alot of time to decipher all the questions. Ahem… Shouldn’t Carrie Ann’s title be “*Lead* Education Pioneer?” You are ALL education pioneers. After all, your raison d’être was to produce a device as an aid for education. A raspberry pi (obviously). Might need to investigate delivery. VGA to HDMI cable so I can use cheap moniters! +1 on the display, LiPo, and the 25th hour! How about a “Powered by pi(e) sticker to put on my forehead. A raspberry pi case with trading card sleeves for your favorite cards on the top and bottom, maybe with RPi trading card placeholders. Raspberry Pi shaped tissues, for the people who broke out into tears at the sight of their Pi coming, due to the sheer glory of the machine. I’d love to see the HDMIPi in the swag store. Shame NOOBS does not work on a 4GB card like Carrie Anne’s book says, my son just found that out. Book looks great, but the supporting software must work. For example delete the directory os/Raspbian if you don’t want that one… This should give you enough room to get in on in the first place. Sorry but things move forward very quickly… We are going to put Raspbian on a diet, although for 4 quid the 8G SDcard is a steal! I have since found that out, but my son who was working on his own from the book just came to a dead stop, not a good situation for encouraging the young. I gave him the SD cards I use with the Pi, but I never had used NOOBS. If I sent out software like that (I am a programmer) to end users untested – nobody can have tested what it tells you to do “We recommend that first-time Pi users start by downloading and installing our New Out of Box Software (NOOBS) onto a 4GB (or larger) SD card.” – I’d be in big trouble (polite words because kids watching). My point was if you’re aiming at the young/inexperienced, then basic mistakes like this make them lose interest very quickly, which is exactly the opposite of what the Pi is trying to achieve. I got distracted by the photo if I’m honest. In the bottom right is the ‘Perfect Paintball Attacker’, drop all other projects and get this going! 1: A custom case with all of the faces of the Pi foundation on it. 3: The PiFace, it’s an amazing breakout board. A good rated “remote field” battery would me amazing. Enercell 1000 millamps is only ok. The Four & Twenty Blackbirds Pie Book, ISBN-13: 9781455520510. There’s a recipe for Rhuby Razz Square Pie on page 98.
well make it loud and brash then. but also add a subtle classy version. Really when you go out tomeet people, you’ve got to show belief in your own product at every opportunity. Lack of a pi wearable in conventional or traditional styling shows ahole in that belief. also, can pimoroni get a chinese manufacturer supply a mouse with enough room into it to cram a model A Pi ? Rachael Rayns, can you screen print a mockup, or will i have to do it Blender? A credit-card-sized (or large business-card-sized) reference card for helping neophytes–of all ages–crack the resistor color (sic) code. Same idea for capacitors. You might consider making it semi-durableModerate-weight glossy paperboard should suffice. They’re going to get lost, worn out, lent(never to be seen again), or sent through the washing machine. Make the cost painless. A larger NOOBS SD card. A set of low-cost, ‘stick-on’ heat sinks–preferably three. “I’m tired of good ideas, The world is full of people with good ideas who can’t even rake a leaf. This suggestion is strictly for the purposes of enhancing the reliability of the Rπ, and definitely not to encourage ‘overclocking’ of the π. This disclaimer /caveat should be DEFINITELY INCLUDED for educational purposes. 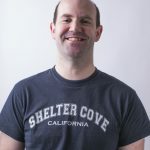 This comes from an honest-to-goodness real engineer who has been designing for real-world applications most of his life, and has learned that a penny spent on reliability is a penny VERY well spent. As we are teaching our young ones about all facets of good design, this is a way to emphasize good design, when one (you) do NOT know to what use the Rπ will be put (e.g., perhaps locked up inside an air-tight case). I got my Pi for Christmas to keep me out of trouble when I retired. It is a wonderful device. From an old engineer, this is really cool. And I really like Carrie Ann. We need more women in STEM like that. 1) A 13×2 GPIO header (female) on the back side so that IO can be mounted on BOTH sides of the PI. 2) A drawing with mechanical dimensions for those of us that want to make our own cases and mountings. A PDF download would be great. 3) Bring back the ability to open the +5 volt line from each USB port. 4) A little more clearance around P5, both front and back, for connectors. In any event, thanks for a great product! GPIO and Resistor guides that fit on a keyring! I would quite like there to be a 3d printing service available. I think it would be useful for people wanting to make a one-off or prototype. I would like to be able to send a file to the service and then for someone to get back to me with a quote for printing one copy of my object. There would need to be a way to determine the charge for printing the object. I guess that could be calculated by weight, which in turn could be calculated from the file that the person submits. From that quote the person can then go ahead and order the print or cancel their request. They’re often called “service bureaus” and generally offer all manner of 2-D printing, signage, lamination, laser cutting, packaging, etc. For 3-D printing, the on-line options are Shapeways.com, RedEyeOnDemand.com, http://www.SoliDoodle.com, 3DSystems.com, QuickParts.com, and in the UK, UK-3D.com, 3DCreationLab.co.uk, ImpossibleCreations.co.uk, Inition.co.uk, QuickForge.co.uk, StephanieWoodDesign.co.uk, Within-Lab.com, WohlersAssociates.com, etc. See http://www.3ders.org/3d-printing/3d-print-services.html for more and the rest of the world. Office supply stores are starting to roll out 3-D printing services alongside their copying and related services. I would expect that the shipping storefronts such as FedEx/Kinkos, UPS Stores, etc., will be getting into the act soon, as well as perhaps arts and crafts, hobby, and fabric/sewing stores such as Michael’s, Hobby Lobby, etc. The Foundation might be busy enough with other things that this isn’t likely to be something they’re going to invest in anytime soon, especially given the stiff competition building up that’s going to cause a shake-out, eventually. Suggestion for swag store: Raspberry PI stress balls. Good for relieving stress and throwing at colleagues (which also relieves stress). I just bought a usb HUB, damn ! a vinyl pouch like they have for technicians to put in their shirt pocket to stop ink stains from ball point pens? Emblazen the front flap with a suitable recognizable pictogram. unless you are considering a pre-stained shirt in just the right place and in a certain colour as a conversation starter. 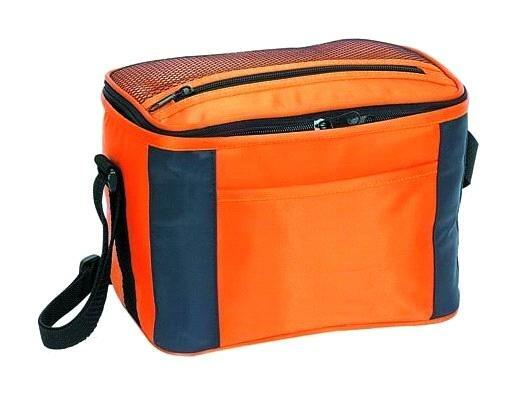 a school lunchbox ( In foundation colours ) but with a solar panel ensconced in the lid with edge connectors on all four sides so kids can join them in a choice of serial or parallel configuration. And a secret compartment for unspecified electronics for sure. a 4GByte, low power memory stick to backup projects and carry solutions around. Half of the sticks kids bring in to classroom are ‘killing’ the pi when directly attached to USB port. Most possibly due to excessive power need at startup. Or do not fit due do oversized designs. A smart looking well working low pricing and charming device ? Why not ! The camera boards and the wifi adaptor would be good so you can get all the bits for a remote motion sensitve CCTV from one place (except the fake CCTV camera case of course). One thing which may be very helpful and would make excellent SWAG. I have a small lunchbag (something similar to this – http://upload.ecvv.com/upload/Product/20113/China_Lunch_bag2011351350583.jpg) which I often pack with Raspberry Pi stuff. The insulation provides padding without allow it to bounce around. Considering the number of Jams and events people go to, even if they aren’t used for Pi transport they could even be useful for lunch! An edible raspberry pie flavoured case for when you get a bit peckish. A LED on flyleads that plug on to GPIO etc header pins, to encourage people to dip their toe into the GPIO world. Pi branded PPE (safety gear) like safety glasses, gloves etc so that people can be safe when experimenting with their pi gadgets whilst also looking cool! Oh and how about a branded pi-nt glass? Every online store should stock them. Or alternatively some suckers and the required gubbins to make one’s own Pi-powered mutant spidery arachnid. I think you should stock the Pimoroni PiBow! They could have the logo and word clouds! I’m afraid all my suggestions are education based. I’d like to see books and resources for pi projects across the curriculum e.g. templates for pi cases to be made in DT. An easy access pi kit for those with physical disabilities along with a leaflet on how to modify screen sizes etc. I’d like to see a sensors kit for data logging so that the pi could replace the stupidly expensive data loggers currently sold to schools. I’d like to see some kind of vote buttons that could be used so pupils could answer questions in class. – Rpi wifi stick and Bluetooth etc. Get the Adafruit skill badges on the store (includes a Pi one) they would be great for after school clubs/jams. Maybe “Pi Scene Do Not Cross” tape rolls. WeDo Lego. Please sell the individual components rather than the pricy educational kits. Offers simple usb plug and play sensors and motors, works with scratch, lego and the pi. Seems like a natural partner to the pi for younger lego engineers. With all the suggestions above I would only need some nice looking case that can handle not only the Raspberry PI but also the huge projects that everyone wants to make with it. And you already have such a nice looking case in different colours, why don’t you add some more colours (or just some more panels) and this way every user can buy the amount of panels/plates/whatever they are called and make his/her own case, the height he/she needs? I think you should put some robot kits in the swag store like a small car and robot arm. We’d like to see a Raspberry Pi version of Blue Peter badges. Also Pi branded notebooks, pens and pencils. Maybe even a Raspberry Pi belt to go with the T-Shirts. Its great to see the Pi Hub in your official store now. Other important accessories might include a simple power supply and a wifi dongle. Perhaps Pi branded USB stick to go with the SD cards? Several people have already suggested robot accessories. We’d love a straightforward and affordable way of building something like a Probot around our Pi. It would be good to offer a simple GIPO learning kit (cables, breadboard, some LEDs, pushbutton switches and associated resistors, maybe also a cobbler). Priced around £10 for those who want to experiment and can trust themselves to connect the correct wires to the correct pins. There should also be a GIPO interface board including protection for the Pi from inadvertent short circuits, overloading etc. This would appeal to those learning with younger helpers. This might include input and outputs such as found on the PicoBoard, so it could be used from Scratch without needing complicated GIPO programming. If possible both of these suggested interface boards should come with libraries so that they can be addressed from Scratch/Python using the same labels as provided on the hardware. (e.g. P0 on the board is called “P0” in software). A machine dedicated to cooking raspberry pies powered by a Raspberry pi. A framed picture of the Pi, Pi projects. Zoom in on the middle. I’d like a solar panel (or other green energy producing) kit that would work with the raspberry pi and maybe a soldering kit. I’m really fond of kits for some reason. Another idea I had was a kind of log book for kids to use at Jams and clubs to track what they did. So like activities listed like attended a speed talk, took part in a workshop, completed a scratch game, met Eben. Then there could be stickers that they get to go next to an activity when they complete it. They could also date it when then did it, and have space to write notes against each activity to. Then through out the log book in the borders there could be pi facts! a kind of did you know? And there could also be useful information about the pi as well such as a diagram of the GPIO pins. A complete starter kit. But Pi branded. And a signed Pi for the winner. Any news on the winners?? The MagPi – Kickstart the Volume 2 Binder for 432 pages of Pi goodness!